San Diego: a city where mountains, desert and ocean come together in a way that’s quintessentially Californian. And now you can see this lively border city from a different angle – the sky! This San Diego helicopter tour beckons shutterbugs with its colorful views of the city’s postcard-worthy sand and surf. Don’t miss out on your chance to see the birthplace of California in an exciting new way! Enjoy a 30-minute helicopter flight over much of San Diego’s breathtaking coastline. 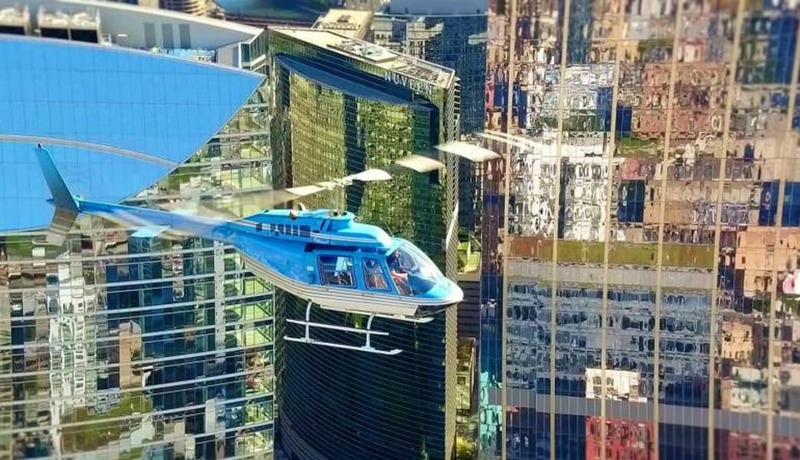 Take off in your helicopter from San Diego International Airport, located right near the city’s center. Fly over the saltwater lagoon of Mission Bay, an aquatic park featuring golf courses, estuaries and 27 miles of coastline. Hover over SeaWorld! Head north to the dramatic cliffs and blue waters of La Jolla. Spot the sunbathing seals! Follow the bay all the way south to Chula Vista (‘beautiful view’ in Spanish). See Coronado Island, the Laguna Mountains to the east and the sailboats on San Diego Bay. Your enthusiastic pilot knows San Diego like the back of his hand and will draw your attention to hidden gems you might otherwise miss. And if there’s a special site that piques your interest, let him know – he’ll swoop in to give you the best possible perspective of this beautiful city! Posted in UncategorizedTagged #advertising, Helicopter Tour, San Diego, tour, travel, vacationBookmark the permalink.